THE SKYSOURCE / SKYWATER ALLIANCE (Venice Beach, California, United States of America) – Led by Architect David Hertz, https://davidhertzfaia.com with Rich Groden co-inventor of the patented Skywater technology http://islandsky.com is a collaboration of leading experts in sustainability and systems thinking committed to the water, food and energy nexus. David Hertz F.A.I.A. Architect is principal and founder of S.E.A. Studio of Environmental Architecture and skysource.org which is committed to the democratization and decentralization of water. David is an acknowledged pioneer in the field or restorative and regenerative architecture who has completed innovative works for over three decades. David has a long fascination with the extreme importance of water on the planet and has been innovating solutions and integrations for AWG Atmospheric Water Generation technologies with the dream of helping to solve the water crises with decentralized deployable systems for point of use water solutions for a thirsty world. Our team is made of both professionals and practitioners with experience in architecture, engineering, construction and innovative clean renewable energy solutions. The teams combined experience and tacit knowledge will be leveraged towards applied systems thinking to solve one of the major issues facing mankind, water. 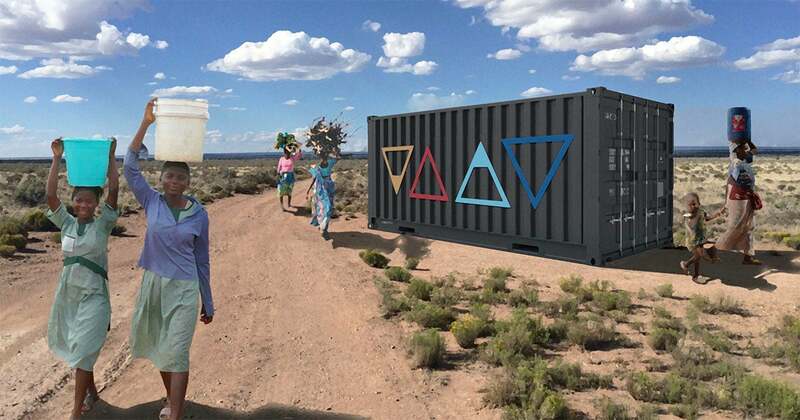 Our innovation has created a easily deployable high volume water generator that can be used in any climatic condition while solving multiple problems simultaneously, with a resultant low embodied energy, net positive and carbon negative solution.